"Make a Wish" takes over the MBC Mon-Fri 19:15 time slot previously occupied by "Shining Romance" and followed by "Iron Lady Cha" January 5, 2015. BearBear Jun 22 2017 4:38 am This is a rather unique story, it being a rare drama that almost every character is dislikeable, even the protagonists. The views may not be fully accurate since I did not finish the drama but based on the many episodes, the leading guy is a selfish, self-righteous hypocrite and both protagonists really deserve each other. There are many better Korean drama, this is just not worth the time. Julie Jun 07 2017 4:48 am So funny, Song yoo jung face looks so much like Kendal Jenner in the kardashians. Btw, I like her acting, she is so good . Should be the main character though. Cha haw yeon is excellent. She should get an award for excellent artist. And Ki tae Young is so handsome. Ang Li Meng May 24 2017 6:20 am This is the worst drama I ever watch. The whole story made my blood boiled. Where got such a characters in real life? Director and script writer you can go fly kite. Trang Jun 07 2016 7:17 am The first time I have to leave a comment here is to give this drama a thumb down. It's just bad. I watched episodes from 6x to 8x and got frustrated, even angry. The characters handle everything as if they have no brain. uzuhana Apr 16 2016 6:57 am Can So Won meet her real mom??? I agree with all your comments. I was disappointed in this show including the end. Seo-Kyung and Yi-YHyun are two evil peas in one pod. I hated them throughout the entire show including the end. I didn't get the understanding of what "Make A Wish" title meant either. truth seeker Feb 01 2015 12:19 am Absolute toilet time. This show just has to be written by the same idiot female azwhole who always gives us the "hidden rich mama" or the "hidden rich papa" who tossed the poor baby goo goo to the snake pit when he or she was two years old, and now is front and center in our poor little darling's life. Of course the chance of this happening is about one in one billion, but that doesn't stop this idiot writer or this idiot director. You have to think that Koreans are such children and just give up. The mere fact that this hit and run, thief, embezzler, killing murderer, who left a dying man that he had just run down, choking on his own blood, will probably walk at the end is typical of this goon, incompetent writer. Haven't seen the end yet, but got the scene, dad. With no way out, he gets down on his knees, begs forgiveness, and says, "kill me, just kill me". Instead of getting the forty years prison that he would get in real life, he is told to get up off his knees, by a tearful Grandma, and wash his face and come to dinner. After all, he has knocked up his wife and is going to be a dad. (we are just supposed to forget that 67% of all murderers, rapists, thieves, and terrorists currently in prison are fathers, but don't let facts get in your way girl. Is it any wonder that kids growing up now in South Korea have as their idols former South Korean presidents, half of whom are now or have just finished serving prison time. Jamse Dec 26 2014 3:34 pm OK, trying to hang in because I'm a fan of Oh Ji-Eun (Bongi!) but the writers don't do her any favors in the way they write her character. 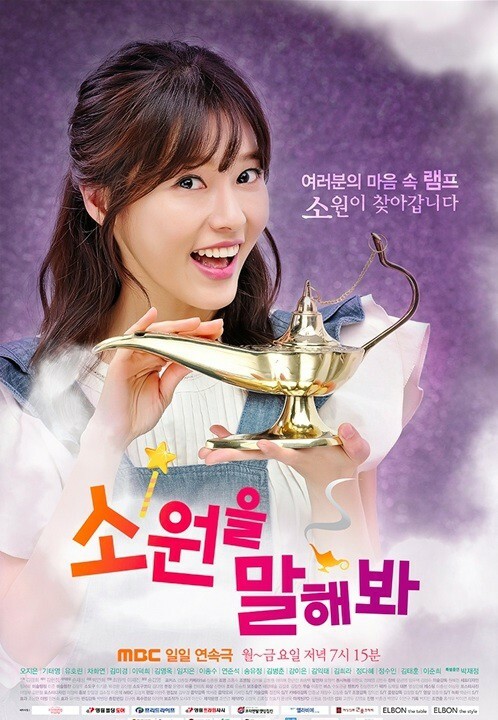 So she's (SPOILERS) bullied by the soulless sociopathic company granddaughter Yi-Hyun into giving up Jin-Hee otherwise she'll pull the investment from his father's struggling business, thereby setting Jin-Hee on the path towards marrying the soulless sociopathic granddaughter who wants him only to advance her position in the company, ensuring a lifetime of unhappiness for him in sham marriage, all the while knowing that one call to the grandmother would put a stop to it? HUH??? mj Nov 10 2014 6:24 pm Finally seem to pick up but like someone else said LOTS of annoying characters! lhay Jun 26 2014 10:33 pm please subtitles gods, please translate this drama... thanks!